We, as the trained orthodontist, do the work! Not our assistants! We have been practicing orthodontics exclusively since 1956. Our practice was started by Dr. Angelo R. Lombardi. Drs. 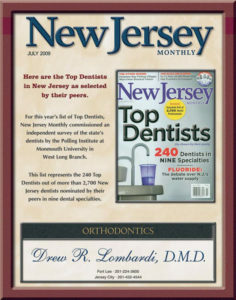 Lombardi and Rider have been consistently listed in the Guide to America's Top Dentists and have been listed in the Top Dentists issue of New Jersey Monthly Magazine in July 2002, 2005, 2009, 2010, and 2014. 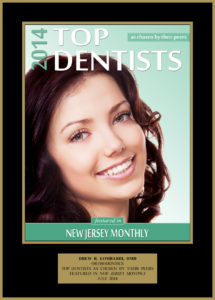 We are the only orthodontic office to be selected this way in all of Bergen and Hudson Counties! Local dentists entrust us with the care of their own children because they recognize the excellence of our work. We provide consistent, reliable, excellent results. 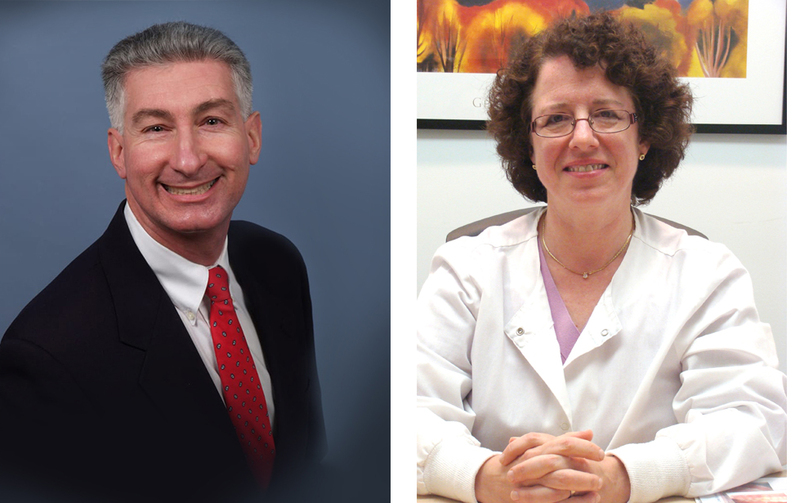 We take time to get personally acquainted with our patients, their families, and their needs. We employ state of the art sterilization techniques. Our staff is friendly, courteous, kind, and helpful. We communicate with your dentist and coordinate your treatment in order to optimize your result. We offer accelerated treatment plans for special life events such as weddings and graduations. We offer metal and ceramic (clear) braces and are certified by Invisalign. We offer several payment options and can personalize them to meet your special needs. We offer a convenient central location with parking. We provide personalized attention and treatment plans to make sure that you get the result that makes you happy.